David Schafer has been a purebred cattle breeder, natural meat producer and pioneer grassfed marketer in the midwest. He founded the Green Hills Farm Project farmers group in 1988, authored the original home-made tub plucker plans and founded Featherman Equipment in 1999. He incorporated both Plant in a Box LLC and Prairie Schooner LLC - a pastured poultry conveyance solution - in 2012. David is an author and public speaker. His two “Greatest Life” books chronicle his journey into sustainable agriculture. David and his wife, Renée DeTar, yoga teacher trainer, live in Kansas City. He is a current board member and immediate past-President of the American Pastured Poultry Producers Association. Greg Gunthorp, along with his wife and three kids, own and operate a pasture based livestock operation in northeast Indiana. Greg's family has raised pigs on pasture for four generations. They have one of the largest pastured poultry operations in the country. Their operation includes an on-farm full USDA-inspected slaughter and processing plant performing slaughter, processing, curing/smoking, rendering, and ready to eat. They supply pork, chicken, duck and turkey to some of the finest restaurants in Chicago, Indianapolis, and surrounding areas. Greg has been very active in the Sustainable Agriculture movement in the United States. He has spoken about pasture pig production, operating a very small processing plant, and ecological waste treatment at agricultural conferences across the country. He is a past board member of the American Pastured Poultry Producers Association, served on Secretary of Agriculture Dan Glickman's Small Farm Commission, as well as on President Clinton’s Small Farm Advisory Panel. He was recently listed as one of the most influential people in Food and Dining in Chicago by New City Magazine. Wilmer Gingerich, founder of Daco Electric LLC is a master of materials, design and construction. He is a self-taught expert in many fields. Raised Amish, and still married to an Amish woman, Wilmer has not only an immense skill set, but a photographic memory and an obsession for perfection. Wilmer has owned a cabinet making shop, a concrete and masonry business, his current electric company, taught electronics at the college level, and roasts coffee beans for fun. 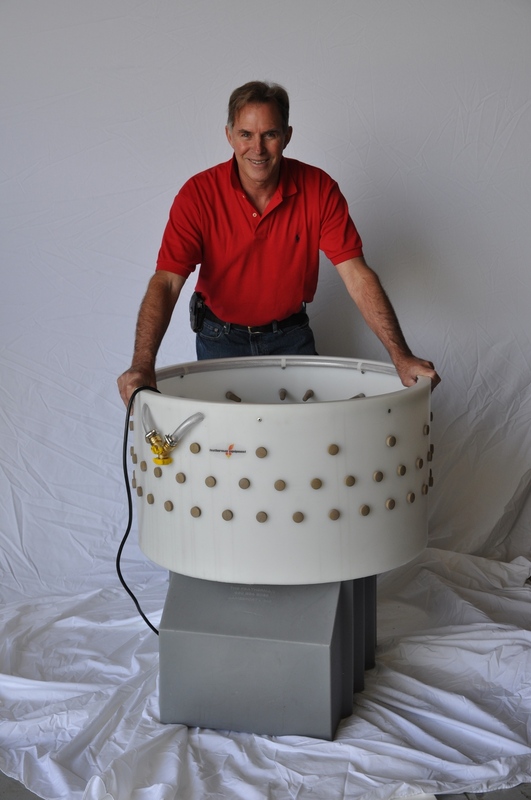 A former neighbor of David, Wilmer helped build and design some of Featherman Equipment’s products.